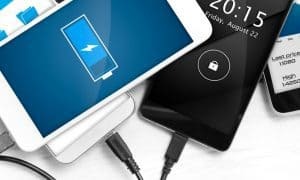 What Are the Most Popular Android Apps Out There? 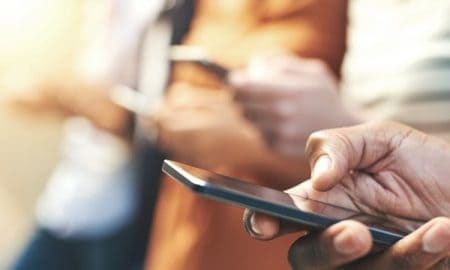 App tracking company Distimo has recently released its June report, allowing us to find out what the most popular Android and iOS apps out there are. 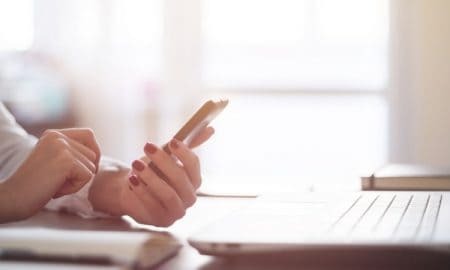 The study offers data about the most popular apps, both paid and free, as well as the apps generating the biggest revenue for their developers. 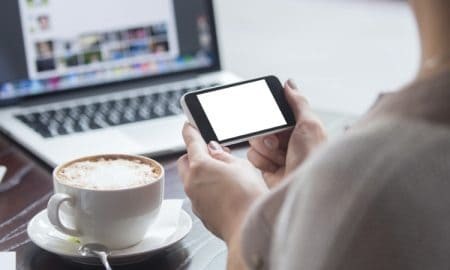 It’s a pretty good insight into the app market, especially since it tracks Android apps in both the Google Play Store, as well as the Android App Store, one of the most important alternative Android app stores. 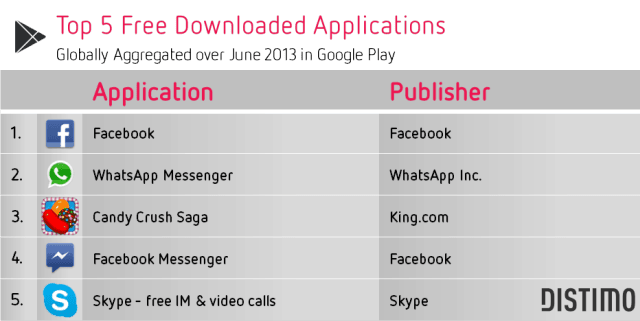 First of all, when it comes to free apps, as you can see in the chart below, courtesy of Distimo, Facebook is leading in the Google Play Store, followed by WhatsApp Messenger, with the first game in the chart being Candy Crush Saga. 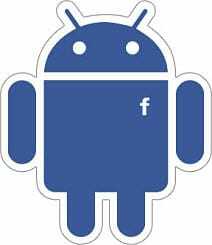 The fourth position is also Facebook’s, as Facebook Messenger has taken it. The newly updated Skype Android app closes the top 5 in the Google Play Store. As far as free apps go, the situation is different in the Amazon App Store. It seems that users of Amazon’s store are more into games than anything else. 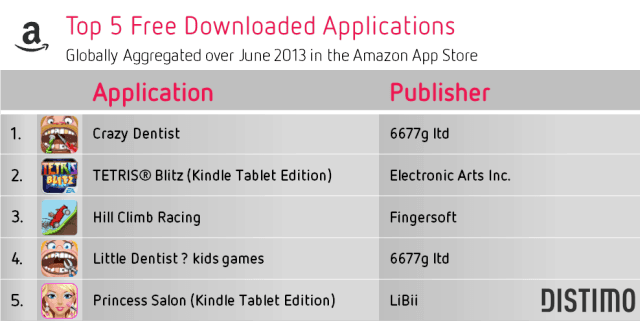 As you can see, Crazy Dentist is first, followed by the Kindle Tablet Edition of TETRIS Blitz from Electronic Arts, with Hill Climb Racing rounding up the podium, and Little Dentist kids games and Princess Salon taking the last two positions in the top five. 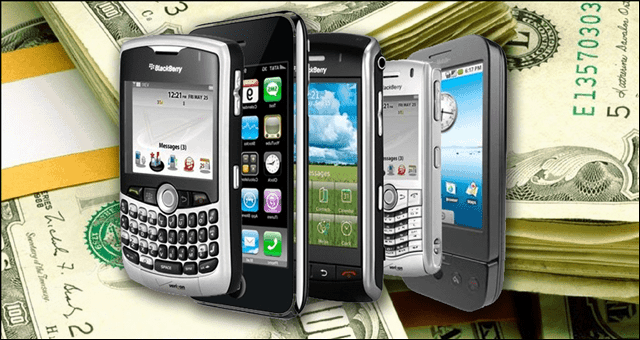 The situation is quite interesting when it comes to paid apps, too. 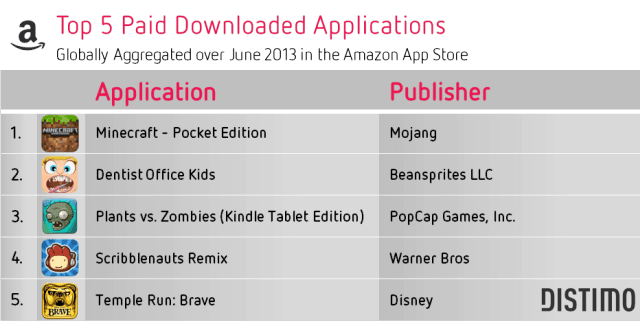 Users seem to be going to the Google Play Store for “real” apps, turning to Amazon’s store for fun – namely, games. This can be seen here, too. 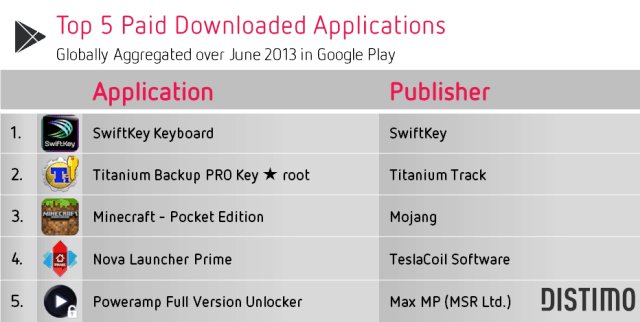 The most downloaded paid app in the Google Play Store in June 2013 was SwiftKey Keyboard, an alternative keyboard for ANdroid, followed by Titanium Backup PRO, with the only game in the top five being Minecraft – Pocket Edition. The top five is completed by Nova Launcher Prime and Poweramp Full Version, a music player. As I said, most users seem to be turning to the Amazon App Store to buy games; at least, that’s what the top five paid apps in terms of downloads leads us to believe (all games). 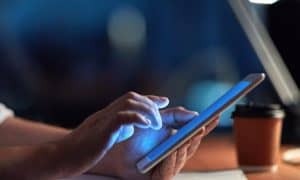 The leader is Minecraft (an app that took the third spot in the Google Play Store, showing once again its insane popularity), followed by Dentist Office Kids, the Kindle Tablet edition of Plants vs. Zombies, Scribblenauts Remix and Temple Run: Brave. Only data for the Google Play Store is offered in this category, which shows the apps that are bringing their developers the biggest revenue. As you can see, games are the ones making the big money, with Puzzle & Dragons leading the way, followed by Candy Crush Saga. 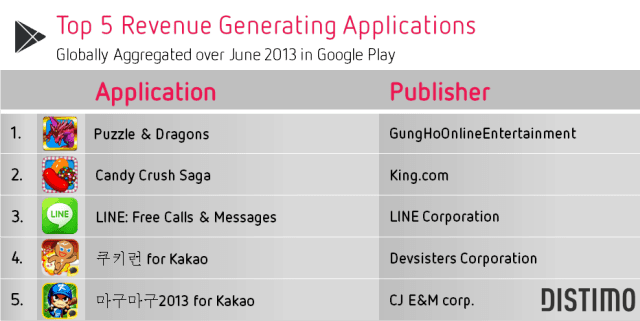 The third position is LINE’s, while two games generating most of their revenue in Korea are fourth and fifth. What do you think about these results? 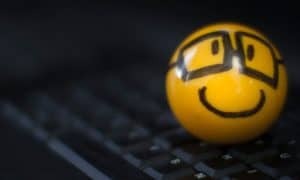 Do you prefer to buy apps or would you rather find free alternatives? Let us know in a comment!